Hello everyone, this is our entry for the Relic Castle Game Jam #4! 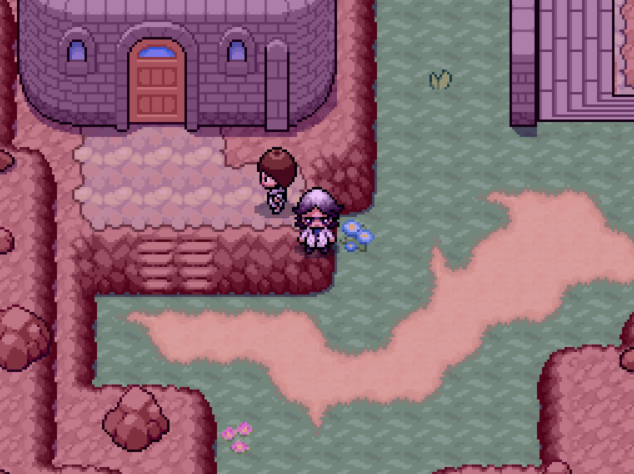 Pokémon Kronos was made by a team of four, OrreMIDI, Streetie, TheLightSword, and AlphaRemaster. Over the course of the month a LOT of time and effort was put into making this game as full as we could make it, and we hope you can see that from your play through. However, keep in mind that we were working to the very last second (and a bit over but Aki was so kind as to offer us an extension) and as of such there may be a few bugs in the game. We really hope none of them are game breaking, but just in case, save frequently! 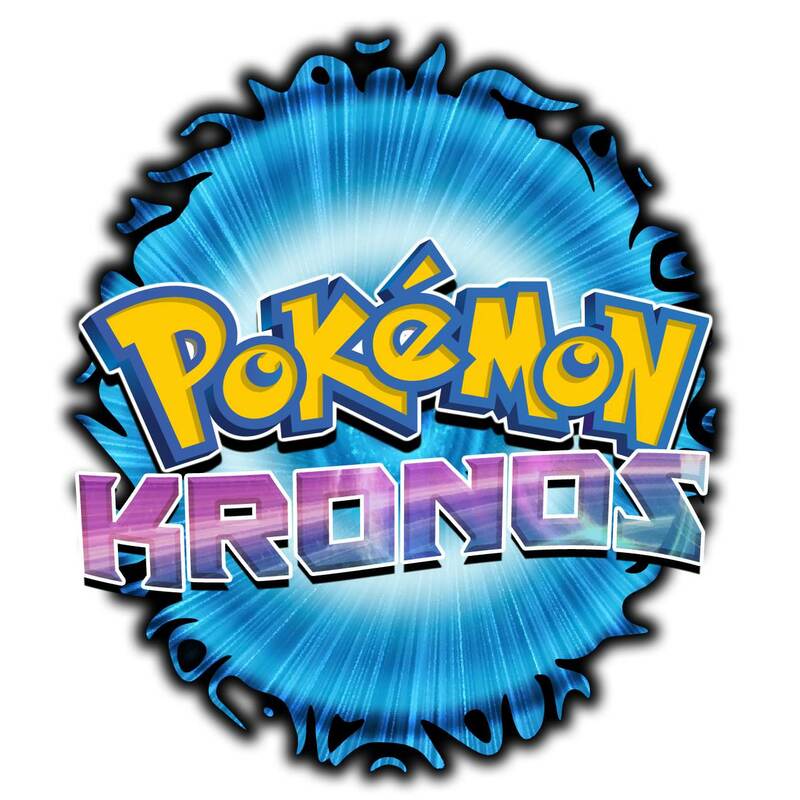 Now, without further ado, here is Pokémon Kronos! Welcome to the Olympa Region, a very diverse and pleasant region at the foot of Mount Olympa, a large volcano. 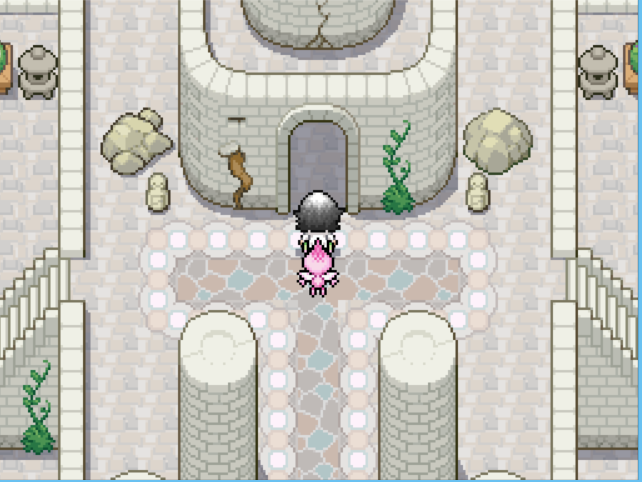 Based off of Greece, this region is home to a very diverse selection of Pokémon! However, the region becomes barren and abandoned in the future, when people stopped taking care of its natural beauty and abandoned their entire culture. Thus, Team Zeta was formed, an organization created to save the future from this great calamity. You play as a lead scientist and third admin of Team Zeta who developed the Time Cuff, a device that allows Team Zeta to travel through time without the assistance of Celebi or Dialga. However, after discovering the true intentions of the organization, to eliminate any people and Pokémon they deem unworthy throughout history, you flee with your partner, Celebi, barely escaping with your life. 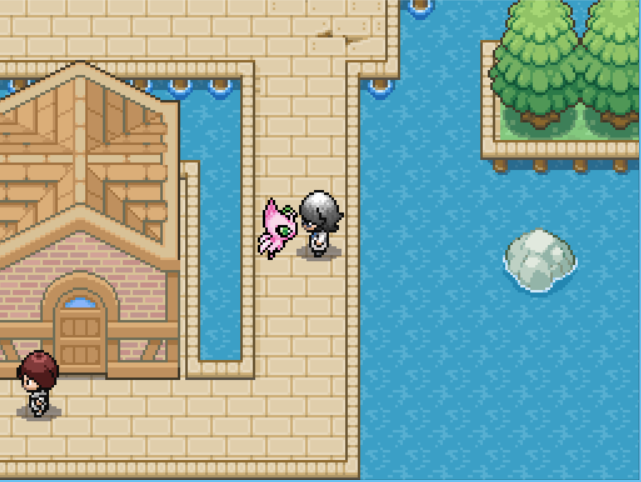 Celebi takes you to the past, where you meet Alexander, a philosopher who studies mythology in Olympa. He informs you that Dialga slumbers deep in the heart of Mount Olympa, and that when awoken it can freely manipulate any moment in history. This is obviously what Team Zeta is after, and so Alexander further explains that to awaken Dialga one must capture the three Lake Guardians. 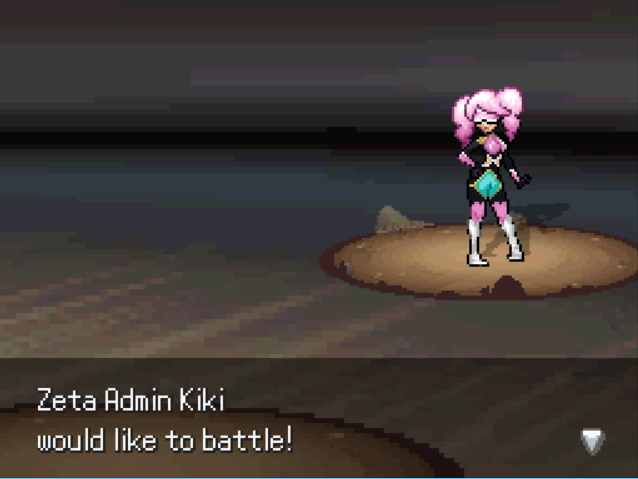 You then set out on a quest to save the Lake Guardians and stop Team Zeta from altering history! -Completely original soundtrack, with the exception of a few remixes and two official themes used! 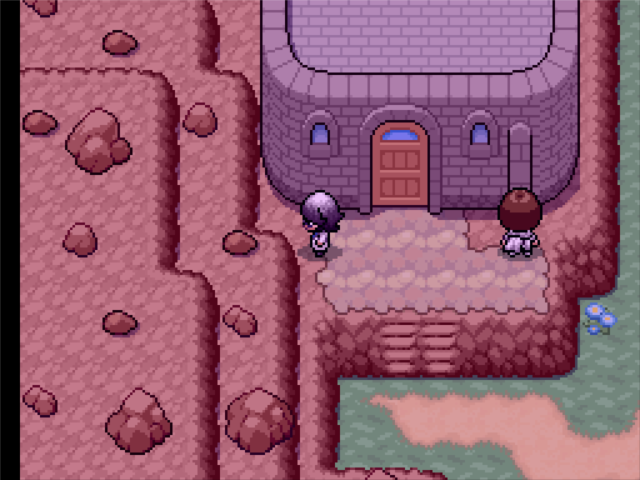 -Custom overworld sprites to match Magiscarf's tiles! -A complete set of custom characters designed specifically for this game! -Beautiful maps that our team worked hard to perfect! -And most likely some bugs and glitches, hopefully none of which are game breaking! 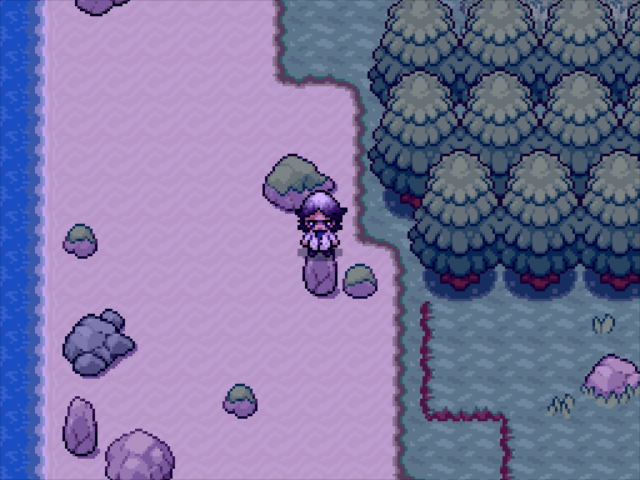 -A variety of mapping and/or tileset configuration errors. -Overall, just save frequently and you should be fine! Luka S.J. - He is the main developer and a genius ruby coder, you should really check this out! Intro to Title Screen taken from Pokémon Origins from Ultimate Title Screens plugin by Luka S.J. 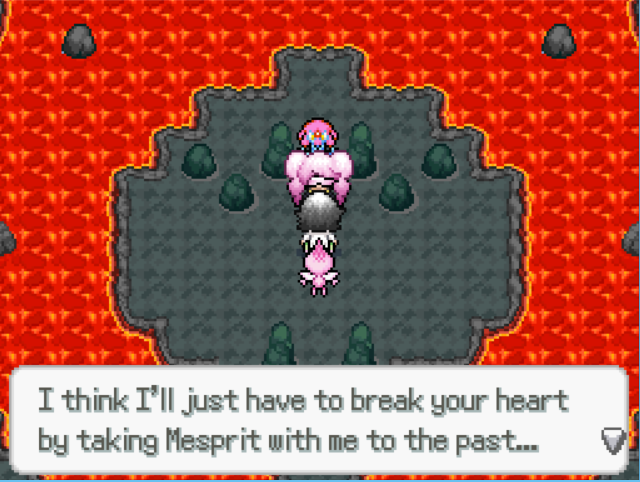 Made Using RPG Maker XP and Pokémon Essentials. Special thanks to everyone who contributed to this project and made this fangame possible! NOTE: If you are doing a Let's Play of this game I would love to know, and I can also provide you with Sugimori styled concept art and the logo for the game! I can also provide MP3s of the custom music if you'd like to use in the background of an intro or something, but I plan on releasing the entire soundtrack on Soundcloud and Youtube soon, so stay tuned! I'll add the Sugimori concept art to this thread soon! Just a small update, we are in the process of creating a patch that fixes some game breaking errors and enables you to evolve Pokemon that evolve via trade, so if you haven't played yet I would wait for this patch before playing. The version 1.1 patch is finished! Here is a link! 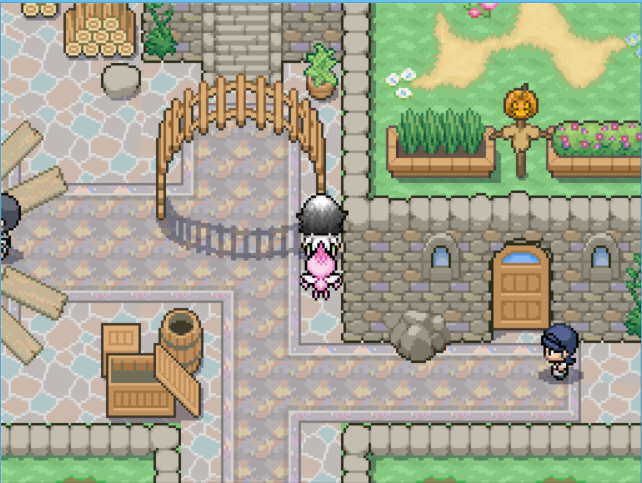 If you didn't check the spoiler, we have added a Mystery Gift to this game in memory of Pokemon Twilight, which you can receive by visiting the small house to the right of the Athenian Inn. 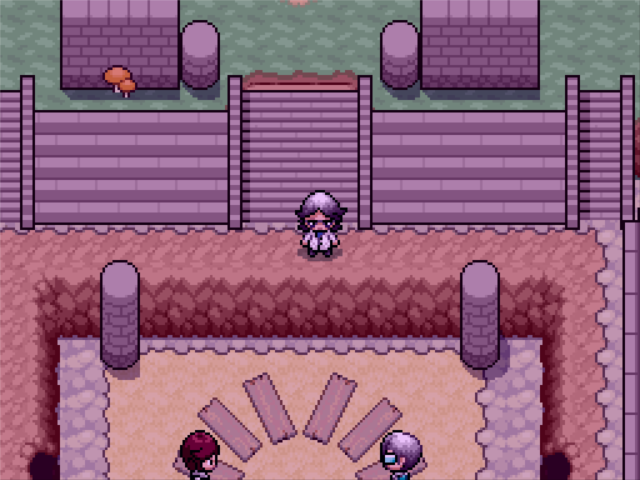 All you have to do is listen to the old man's tale and then go to the title screen, recieve the gift, and pick it up at any inn or Pokemon Center! We hope you enjoy the game! Hey, I downloaded version 1.1 but I can't seem to get the save from the previous version to work with it. Do I have to start over or is there a way to transfer the save from 1.0 to 1.1? I am not entirely positive but I believe that due to the fact that I changed the name of the game and it now includes a mystery gift and some modifications to scenes you may have already played through I doubt that there is any way to start back from where you last saved. I can do some research into developing a patch that will allow you to do that, because it can be tedious to have to play the game over and over again every new update. Thanks for playing the game though, and on behalf of the team we hope you enjoy it! Yeah, I didn't get very far in, thankfully, so it won't be too bad. But it'd definitely be nice to start from where I left off in any future updates. It's a great game so far though and I can't wait to play more later. I've made a release that allows you to have the update and start where you left off so I hope you didn't get too far if you started playing on yesterday's update. Link will be in the post below. Hey everyone, here is an updated patch that allows you to continue where you last saved, and from now on I will not be changing the name of the game as to avoid this issue. Unfortunately this means that if you played on last nights update any further releases will be incompatible with your save file, as I want to keep them all consistent. Sorry for the inconvenience and I hope that you all enjoy the game! Patch is back up, sorry for the wait! Hi I'm Gen8King and I want to do a let's play of this game of yours by using OBS Studio but I can't get past the black screen and it wont show anything else when I test and play it back. I have tried different settings but my laptop may have some different specs to allow recording fan made games and it might not work because of the original settings I have for recording and streaming. I really like the screenshots so far and I want to play it for my YouTube channel playthroughs. Can you help me out so that a let's play can happen on my channel. I will understand your decision. When I tested it out it worked, are you not able to view the gift? 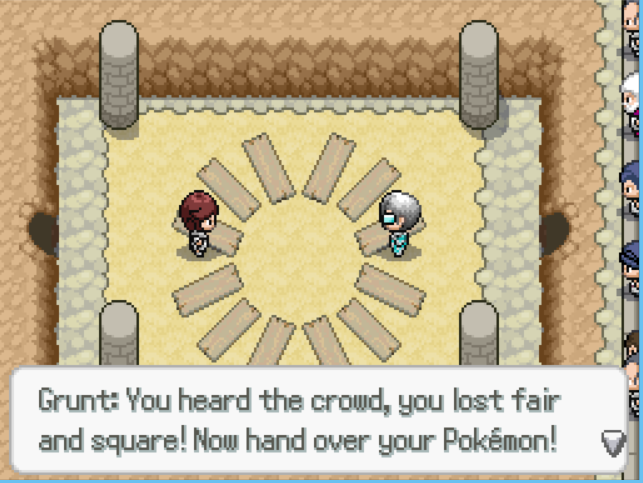 It's a Darkrai and you have to first talk to an old man NPC in the house to the right of the Athenian Inn, I think I forgot to explain that in the original post. I'm glad you are enjoying the game though and hope you don't encounter any major problems! It's not the event itself - the Darkrai wont obey due to it being along the same lines as a trades pokemon. By giving the player all 8 badges, they can actually use it. 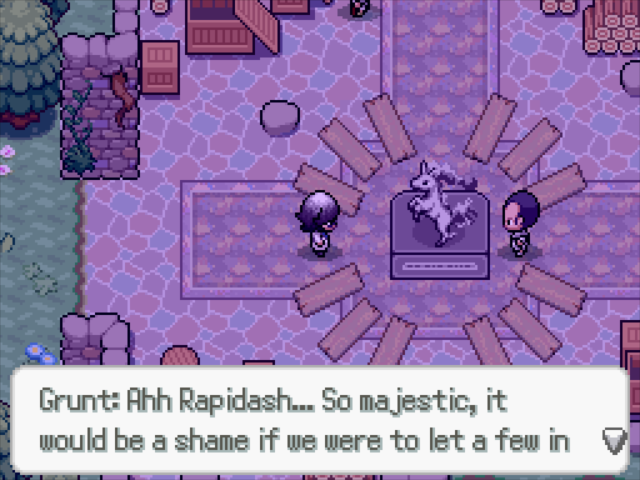 Also the only major issues I've found so far are priority and passability issues along with a spelling mistake for rapidash in the grunts dialogue in the town. Ohhh I see what you mean. Thanks, I'll see if I can release a patch soon! 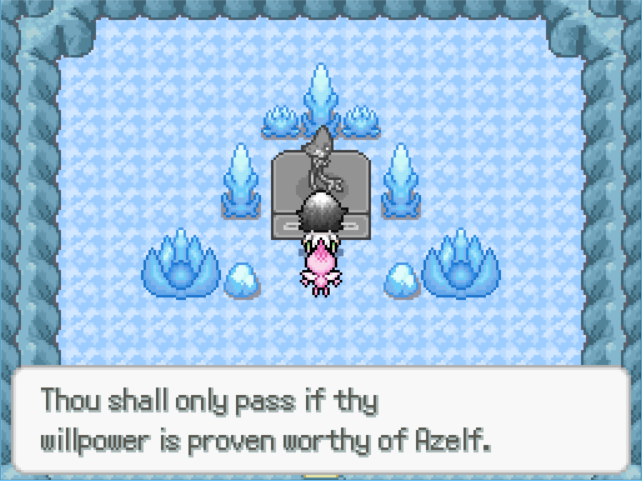 Here'a the patch, I made it so no Pokémon can disobey because of badges. Hope this helps! You shouldn't be able to stand here but look at me on the edge! This one is a bit more serious, but if I try to go to the left of the town where I can from by boat, this cutscene triggers again, and the fight happens all over again! 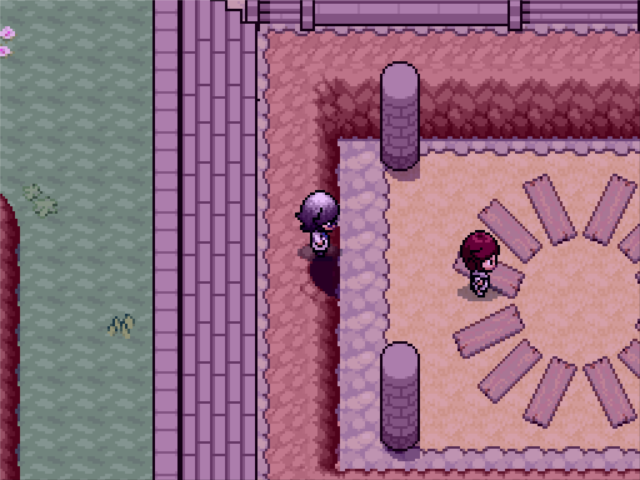 Anyway, I'm having trouble figuring out where to go next, I've done the double battle with the 2 rapidash but it still won't let me exit through the south. Also are there running shoes in the game, it is just a bit slow without them, that's all. Anyway, I do intend to finish this game, but so far it has been pretty good! All the towns I've seen so far have been pretty pretty. Also! That title screen intro thingy was very nice! It also seems like you've got yourself a fair amount of content in this game so congratz on finishing it all in a month and a bit! Which version of the game are you playing? Just want to make sure that some of those things may have been fixed in newer releases, but I will still definitely check this out! I am working on a patch to fix these issues, I am so sorry that there are these many in the game, but thank you so much for bringing it to my attention!